Porsche-Arena is a multi-purpose arena, located in Stuttgart, Germany. The seating capacity of the arena varies, from 5,100 to 8,000 people and it was opened in 2006, after 14 months of construction. 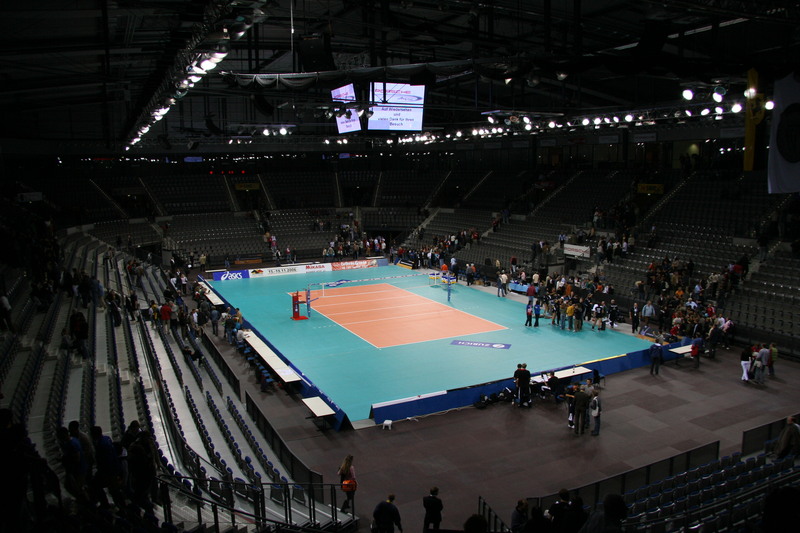 The arena is part of a sport complex located in Stuttgart’s NeckarPark, situated between the Scharrena Stuttgart, Mercedes-Benz Arena and Hanns Martin Schleyer Halle. To fund the construction, costs had already been pre-construction sales of the name rights planned. Dr. Ing h.c. F. Porsche AG bought the name rights, for a ten million euro, for a term of 20 years. 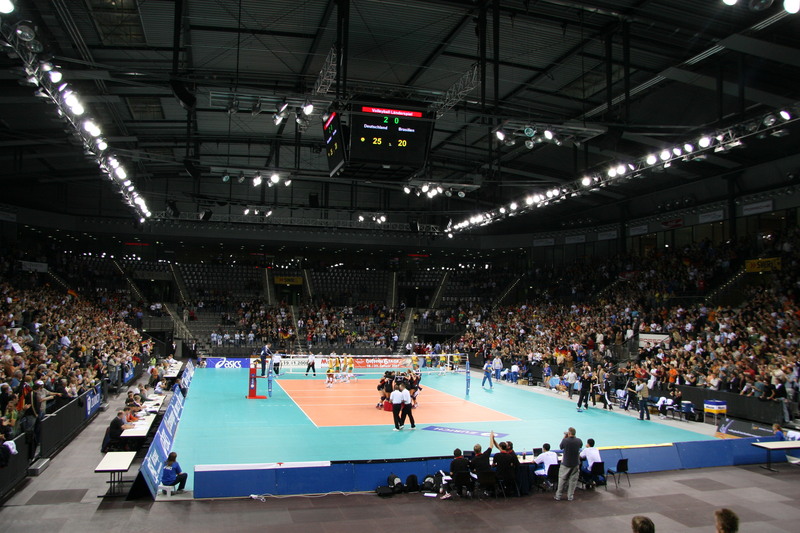 It is the venue for the Porsche Tennis Grand Prix, a WTA Tour event and also hosted some matches at the 2007 World Men's Handball Championship. Anton Hunger: "The tournament is now at home in Stuttgart. We knew we’d make mistakes at the first edition. But we didn’t promise too much last year and have eliminated almost all the mistakes in 2007. A total of more than 36,000 spectators were in the arena. The number was up on the previous year even though seating was slightly reduced to improve comfort." Wikimedia Commons has media related to Porsche-Arena. This page was last edited on 12 November 2018, at 16:20 (UTC).